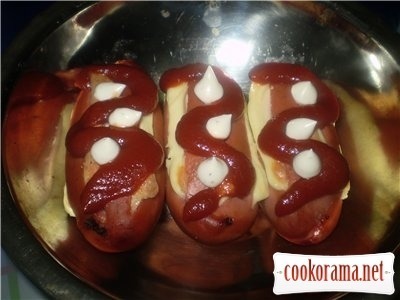 Cut sausage along in 3 places. Cut cheese into stripes, which you will put in sausage. 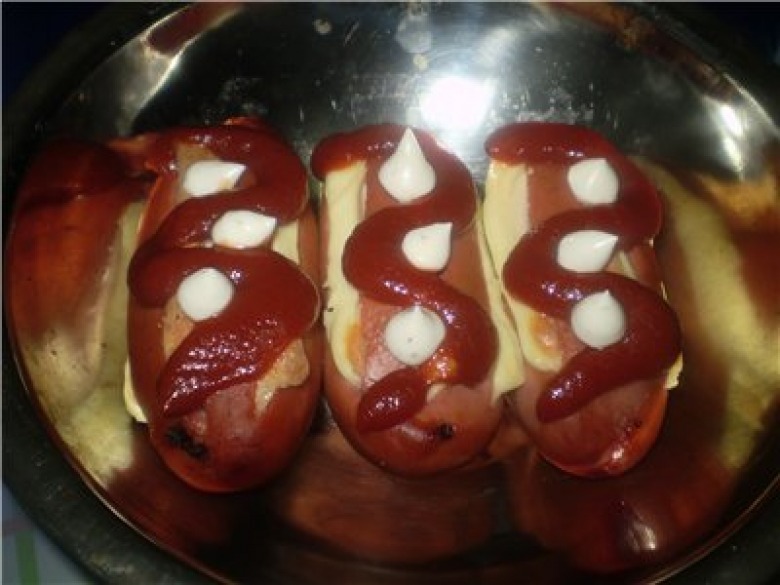 Stuff sausage with cheese stripes in 3 places and put in microwave or oven. It is ready when cheese is melted and the sausage is ruddy. And now pour with ketchup, mayonnaise and mustard to taste..., you can serve it without sauce too. Top of recipe "Stuffed sausage"
Можна і сулугуні, тут вже хто що любить, але напевне він не розтопиться. Прикольно придумано, швидкий сніданок і друзів можна на пиво запросити.